In this tutorial we will perform self-consistent simulations of a double gate GNR-FET with Schottky contacts. 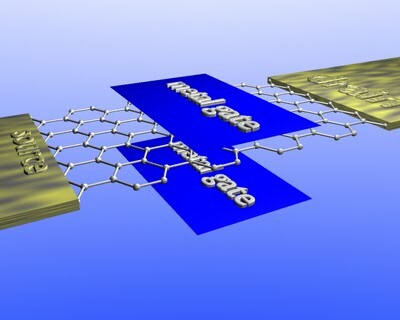 The top and bottom oxide-thicknesses are 2 nm (tox1 and tox2), the lateral spacing S is equal to 1nm. The GNR is 6 arm-chair and the channel L is 15 nm long.